The Happiness Project London has been accused of never going anywhere North of the river (Max! 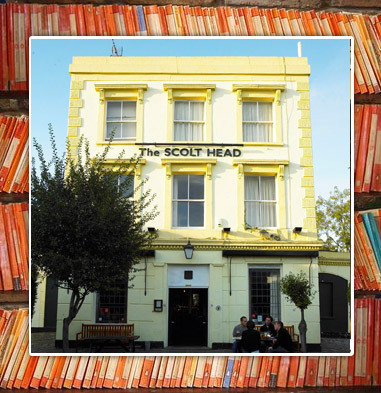 ), so Amy’s birthday was a good excuse to check out The Scolt Head in De Beauvoir (near Dalston/Hackney) on Sunday. This area of London intrigues me in that: (i) people can be quite old-school posh; (ii) you get families, babies and older people in pubs ; (iii) everyone seems to come from London originally, and many live round the corner from where they grew up; and (iv) everyone seems to know each other. This is very different to where I live, as many of us have moved to London from elsewhere, there’s a hundred different nationalities, and certainly in Clapham Common pubs you’d be hard pushed to find anyone over 35. So, I liked the novelty of being in a real “local pub” and kicked myself, not for the first time, for living dahn Saff (although I love what’s happening in Brixtonia, more soon). The Scolt Head seems typical of a North London local boozer – it’s the self-proclaimed “De Beauvoir’s local” and could almost be an old village pub in Surrey. Wooden tables, regulars who greet the bar staff as friends, traditional British cooking, the Sunday papers lying around, pool tables, high chairs and toddlers. They had traditional ales on tap, decent wine, and an interesting menu that included a yummy Onion Tart to start (other starters sounded good too – Potted Old Spot Pork Belly, Smoked Salmon Pickled Beetrot & Cucumber, Chicory Goats’ Cheese and Smoked Bacon) and mains included a huge plate of Roast Beef with Roast Potatoes, Curly Kale, Yorkshire Pudding & Gravy (other mains were Whole Baked Trout, Braised Pork Cheeks and Root Vegetable, Pumpkin and Mascarpone Strudel). Puds were Apple Crumble and Cream, Bread & Butter Pudding, Forest Berry Trifle and Neil’s Yard Cheeses with Chutney. 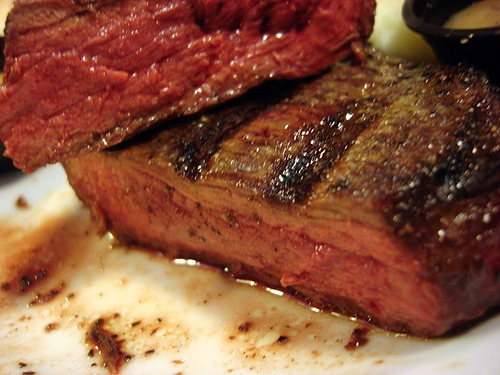 The roast was pretty good – my beef was delicious and pink although some said it was overdone, and you can tell you’re in a posh pub when it’s served with home-made chunky horseradish sauce (yum). Certainly, the noise levels got quite high with all those shrieking kids (leading someone to remark about the downside of the smoking ban) and it got jam-packed after 2pm leading to pretty stressed out staff, but it was a great place to have a natter with good friends – a warm old pub and perfect for a traditional Sunday lunch. I’ve already tried the Duke of Cambridge organic gastropub near Angel (good but pricey) and The Marquess Tavern – see, I do go North sometimes! – which were both decent gastro-boozers, and I’d definitely go back to The Scolt Head for another lazy lunch. I do think we’re missing an old-fasioned boozer that has a great traditional menu in Brixton/Clapham, apart from maybe The Landor, The Calf, The Abbeville and The Avalon. I’m definitely looking forward to more Sunday lunches in that part of town – just waiting for the invite, A & M!